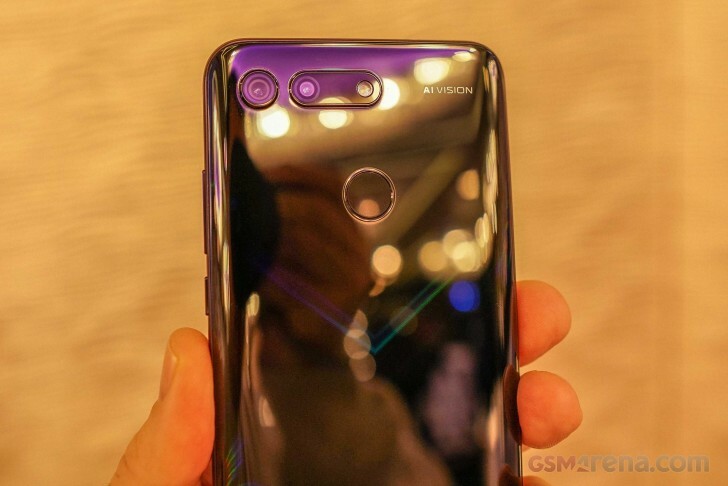 After the teaser in the early days of December, the Honor View 20 is now official. 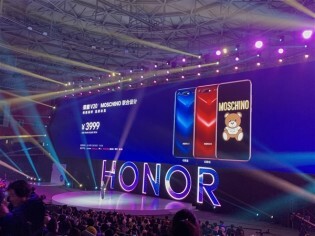 It was just announced in China as Honor V20, with a global launch to follow at an event in Paris, France on January 22. 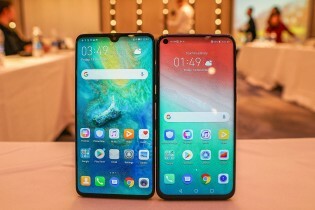 The phone comes with an in-screen punch-hole selfie camera, and a 48 MP Sony IMX586 rear shooter that's joined by a 3D ToF sensor at the back. It will be the company's first flagship in 2019. The Honor V20 is built around a 6.4” LCD of 1080p resolution and an unusually tall ratio of 19.25:9. The chipset is Kirin 980, which is coupled with either 6 GB RAM or 8 GB RAM, while the storage options are two - 128 GB and 256 GB. Having an LCD panel means there is no UD fingerprint scanner - there's a conventional one at the back instead. The front panel has a hole for the 25 MP selfie shooter, but only the LGP layer was cut, while the OCA, POL, color filter, array are staying the same. 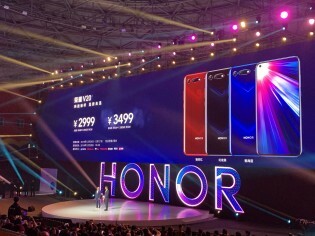 Honor boasted about refining the whole process of manufacturing, so the camera is not physically penetrating the display. If you want to know more about the design and manufacturing process you should head this way. The Honor V20 comes with a cool gradient rear panel with a V that changes colors as the viewing angle changes. The 48 MP snapper is huge in size - 1/2-inch CMOS sensor (0.8 µm/pixel) with Quad-Bayer array that allows pixel binning for HDR 12 MP night shots. The 3D ToF sensor along with the Kirin 980 chipset enable 3D body shaping, so you can look perfect in your full-height pictures. Honor V20 (View 20) comes with EMUI and brings all the neat well-known Huawei features like Super Night View mode - hand-held long exposure shots. There is also EIS and GPU Turbo 2.0 comes out of the box. 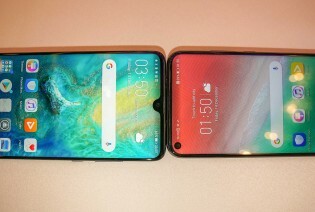 The Honor V20 supports Huawei's desktop mode so it can also be used as a desktop PC replacements when connected to a monitor, keyboard and a mouse. It supports dual-frequency GPS positioning as well as a triple Wi-Fi antenna. Battery is 4,000 mAh and comes with the 22.5W SuperCharge support - 4.5V/5A. It should fill the power cell up to 55% in 30 minutes or to the top for an hour and a half since this is how the Huawei Mate 20 performed with the same power setup in our tests. 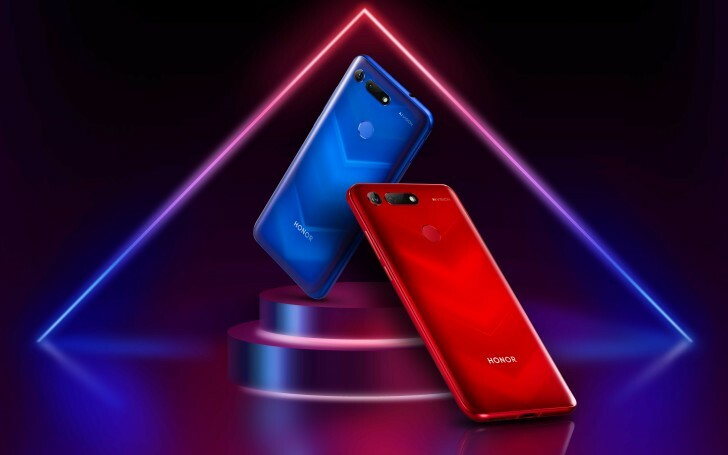 Honor View 20 is arriving in three colors - Red, Blue, and Black. The 6/128 GB variant costs CNY2,999 ($435), while the 8/128 GB option is CNY3,499 ($510). The Moschino version comes with 8 GB RAM and 256 GB storage and costs CNY3,999 ($580), but it does not have the fancy black panel. Sales in China begin on December 28, while international availability and pricing will be revealed on January 22. Almost a LG V20 but with enhanced processor and memories, lacking FM radio. Specs are great it has Headphone Jack and Micro SD slot too but one thing worrying me is the lack of OIS on main camera. Otherwise specs are great.